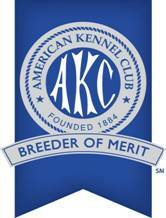 Call to reserve your show or companion puppy! registration, co-owner-ship for newbies and a show contract. a show contract. We do not sell breeding quality. Reserve your Show or Companion puppy early ! (from day 31) at absolutely no cost or obligation to the owner. Details will be provided soon after registration.